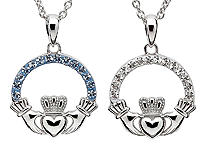 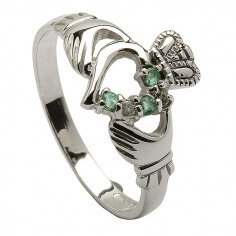 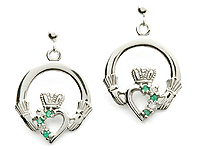 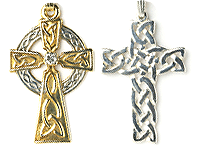 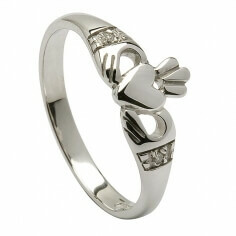 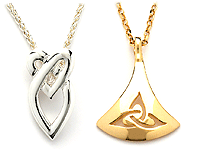 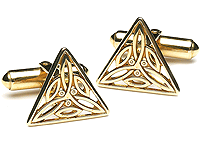 This is another take on the traditional Claddagh design. 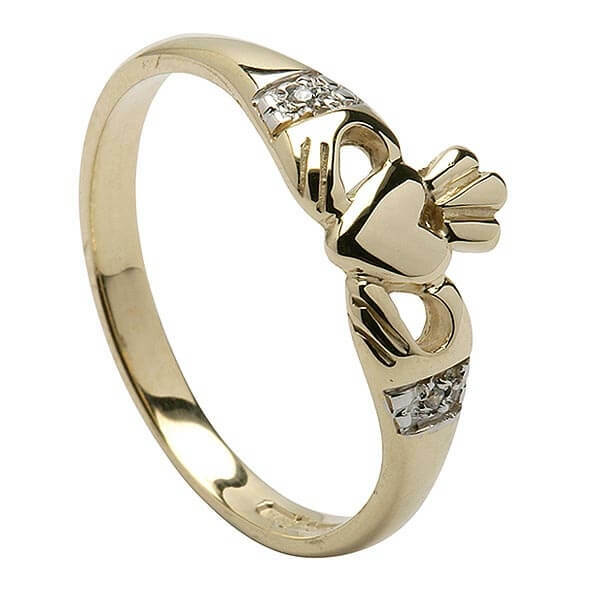 Our craftsmen have retained the best of the traditional style and given this ring a contemporary twist by setting sparkling accent diamonds each side of the hands and heart section of the Claddagh. 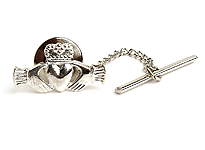 Your ring will be made from 14K yellow gold and hallmarked by the Dublin Assay Office as a sign of its high quality.